This picture was taken on March 28, 1969 showing the satellite Europa to the far right of the frame. areas of cloud storms. 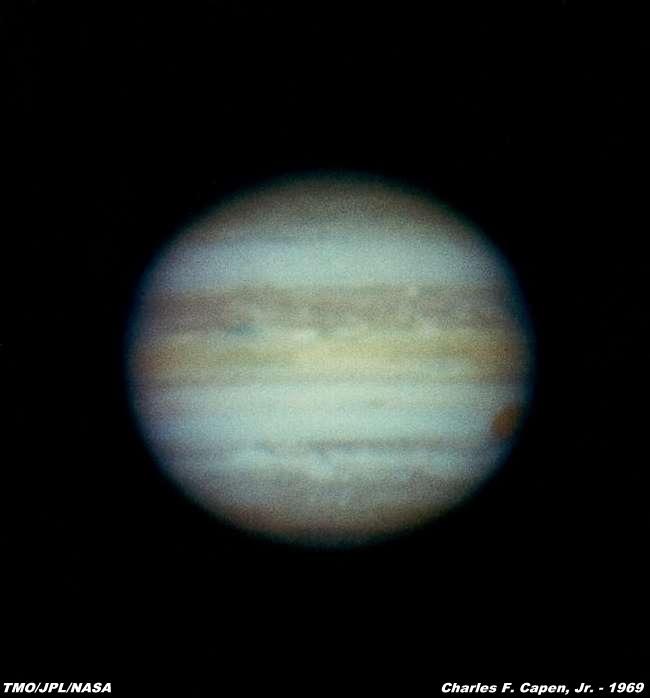 The large white spot near the center is a storm about half the size of the earth. This picture was taken at 0428 UT. photographed was snapped at 0503 UT. 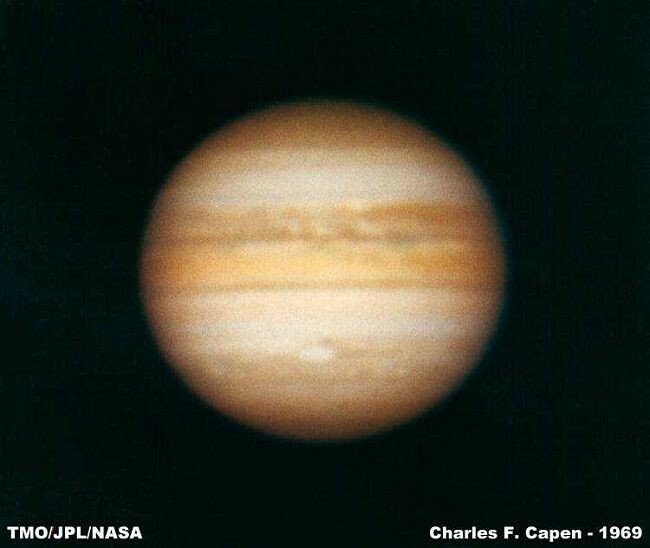 This frame was taken on March 29, 1969.
the north edge of the equatorial region. 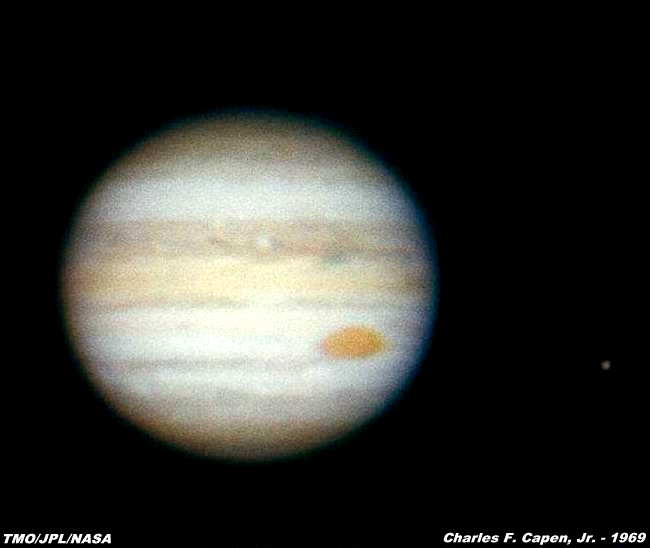 This last frame was taken at 0534 UT on April 4, 1969. ASA slide film. All three frames were taken by Charles F. Capen.